A few prints, a few textures, and a color scheme that I love (remember this outfit?). Happy Thursday! I’m loving the color palette here! oohh those mint trousers are fabulous! I really like the dress too. Thanks for sharing! All of these pieces are so beautiful! 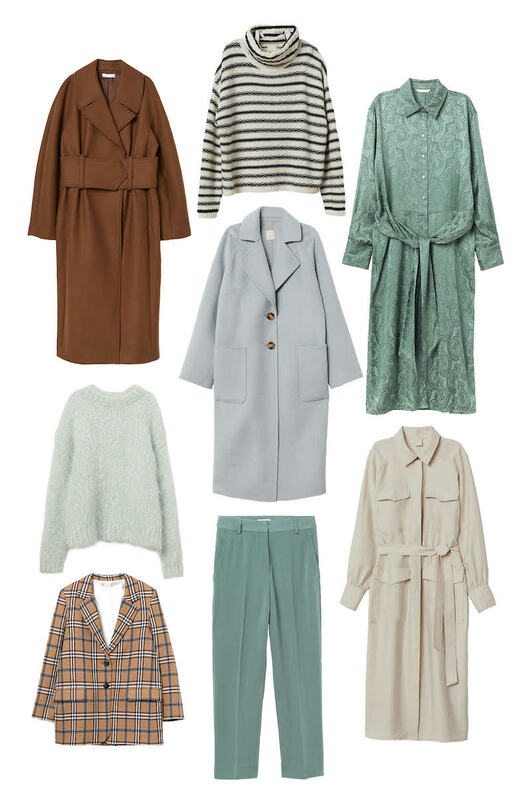 All of these coats are gorgeous <3 🙂 And I'm loving the color palette so much! Ooooooh! I really like all the pieces with mint green hues. Definitely thinking about buying them for work.